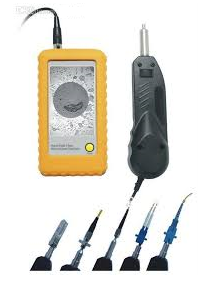 This Fiber Optic Video Inspection Probe with Low Weight (Magnifier) is a high-performance portable video microscope which comes with high magnification power that helps to inspect all kinds of fiber optic errors and terminations. 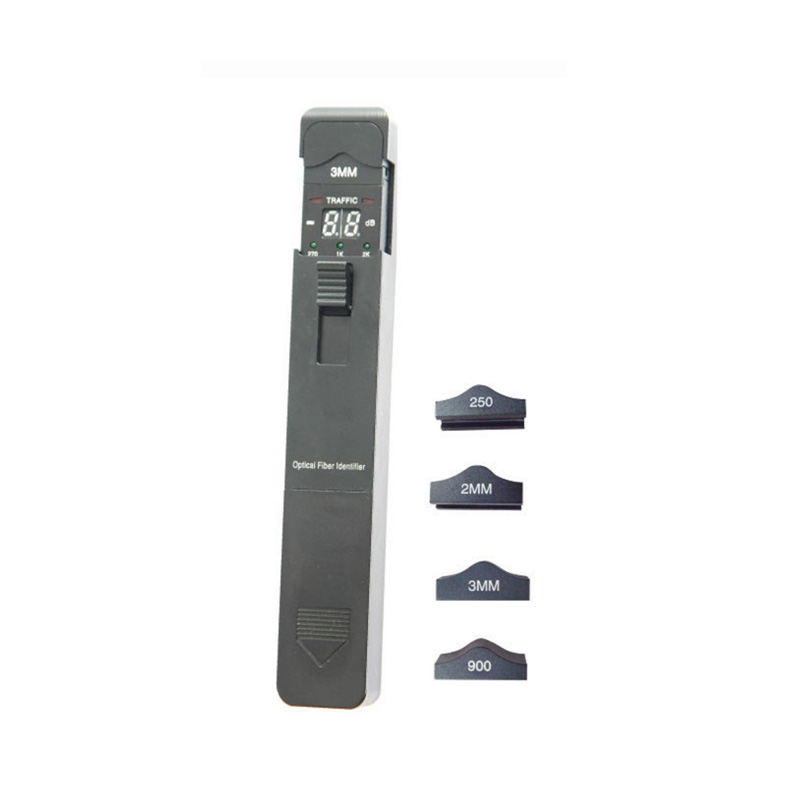 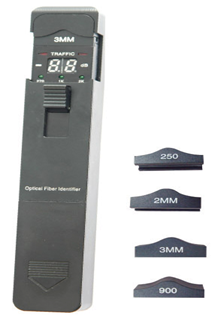 This Optical Fiber Identifier with High Accuracy is a lightweight device which comes with 4 adapters and is used to indicate the signal direction in optical fibers and is essentially used in installation and maintenance of optical fiber cables. 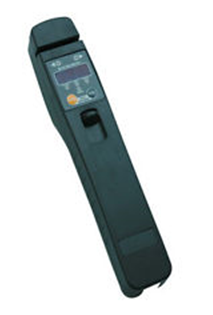 This portable Optical Fiber Identifier with Signal Direction (Relative Core Power) identifies the direction of transmitted fiber and displays the relative core power without disrupting the traffic on that fiber. 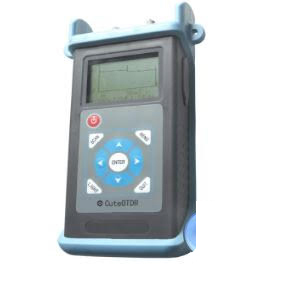 This Optical Fiber Identifier with Signal Injection/Identifier recognizes the low-frequency signal online injection, without disrupting other online optical fibers. 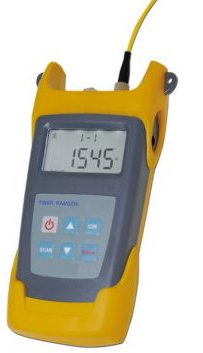 This Optical Fiber Ranger with VFL (Up to 8 Faults) is used in the test and maintenance of fiber network and comes with a built-in visual fault locator function which can detect up to 8 faults. 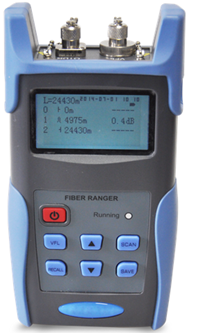 This Optical Fiber Ranger with VFL for FFTx (Up to 8 Faults) is used to detect fiber fault locations in FTTx network installation and maintenance and has built-in visual fault locator function which can detect up to 8 faults. 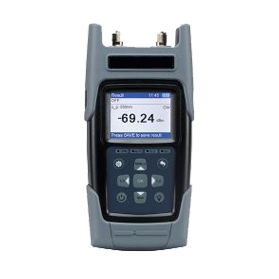 This OTDR Launch Cable is used with an OTDR and helps in minimizing the effects of launch pulse on measurement uncertainty. 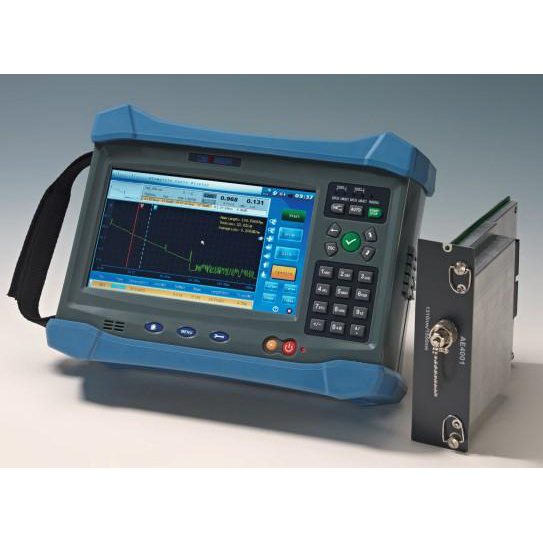 This compact OTDR Fiber Launch box is designed to test the fiber optic cable with OTDR's to help in minimizing the effects of the OTDR's launch pulse on measurement uncertainty. 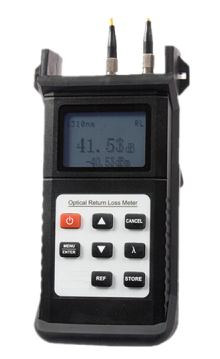 This portable and intelligent OTDR with Vision Fault Locating (Auto-Optimization) is designed for testing the distances and losses of the optical fiber and comes with a built-in VFL (Vision Fault Locating) system. 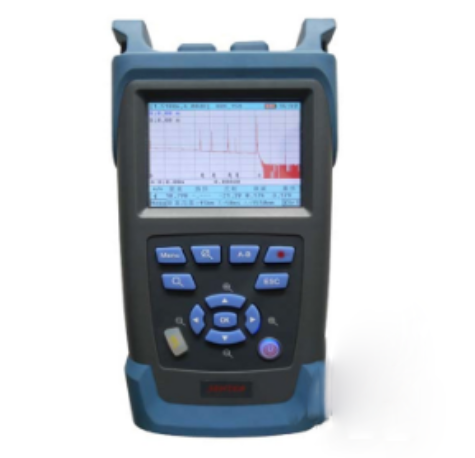 This OTDR with wide pulse/Test distance) is an intelligent new generation meter for detection of fiber communications systems and offers a wide pulse width and a testing distance of up to 74.56 mi (120 km). 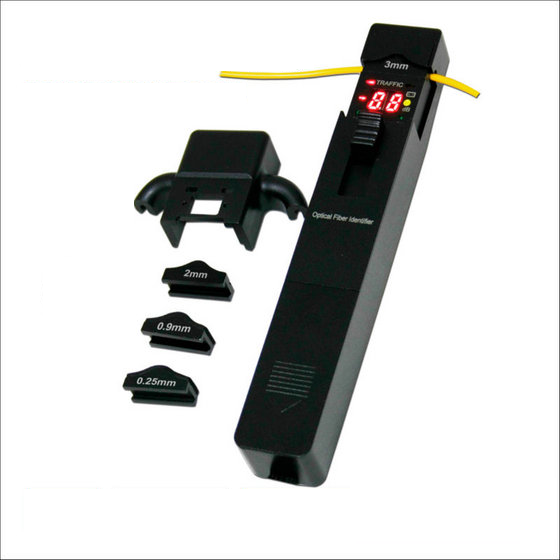 This Optical Fiber Identifier with Multi Adapter (Signal Indicator) is an essential fiber installation and maintenance instrument for detecting optical signals in SM fibers comes with 4 types of adapter heads (Ø0.25, Ø0.9, Ø2.0 and Ø3.0). 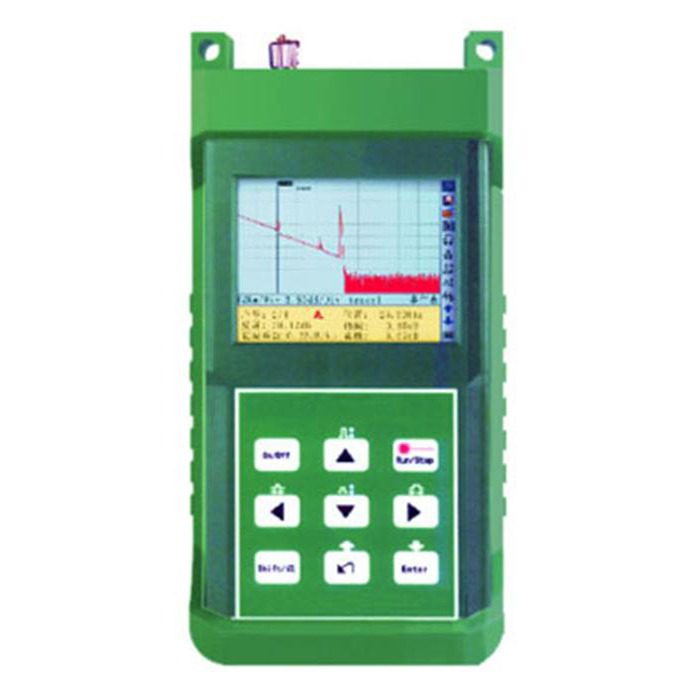 This Optical Fiber Identifier with Large Range (Long Battery) uses fiber interference technology for quick identification of cables which are usually buried in the wells or wire poles for a maximum test range of 37.28 mi (60 km). 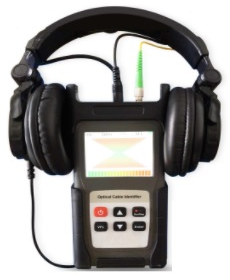 This OTDR with Bidirectional Testing (Handheld) is used to measure the parameters of optical fibers and cables, such as length, loss, and connection quality easily locates the accurate positioning of event and fault points. 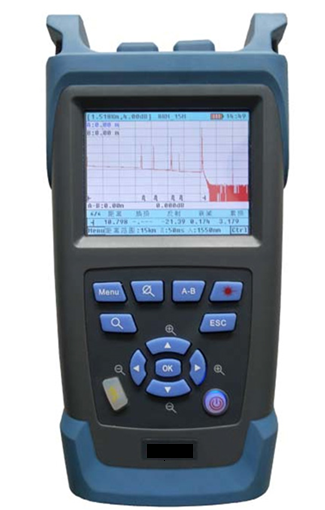 This OTDR with Vision Fault Locating (Various Test Mode) is designed to test the fault locations in optical cables and comes with various test modes such as automatic, manual, average, and real time. 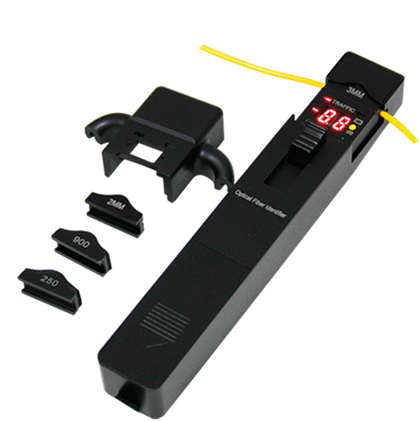 This Optical Fiber Identifier with OFI & VFL (Low Battery Sign) allows the user to maintain data traffic through an optical fiber cable and is used for optical fiber installation and maintenance. 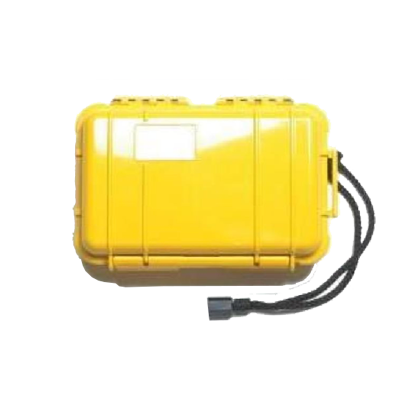 This portable Optical Fiber Identifier is designed to detect optical signals without disrupting traffic by using the non-destructive macro-bending technology. 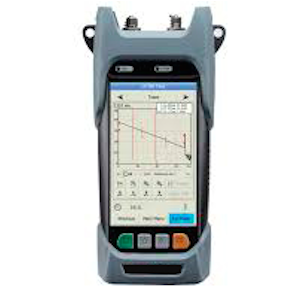 This Optical Fiber Ranger with Pulse Width Control (Lightweight) is used to detect fiber fault locations with higher accuracy and comes with an automatic pulse width control function. 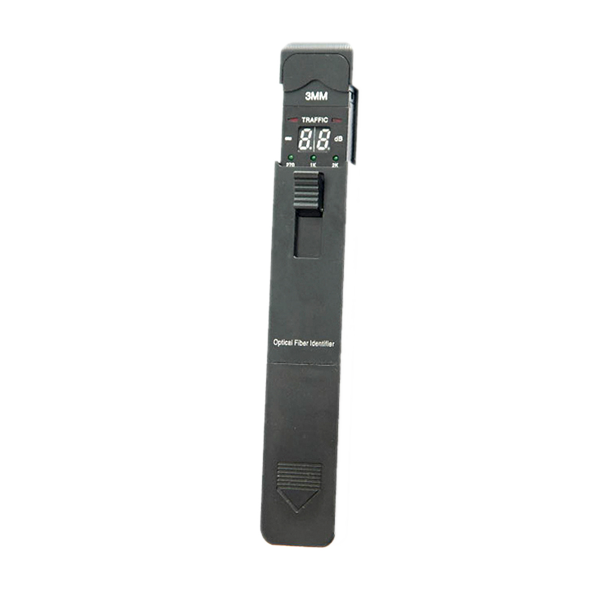 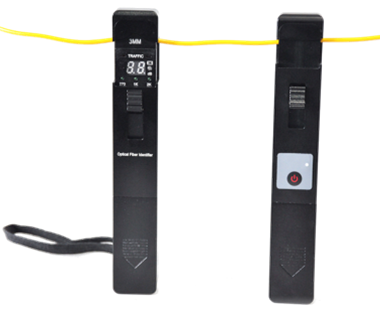 This easy to use VFL (Visual Fault Locating) tester helps in testing the fault location of jumper wires and comes with a 3.5 inch color LCD touch screen. 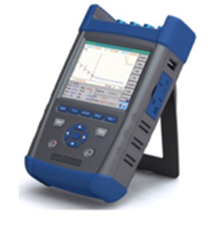 This basic OTDR offers a smart software option that provides pass/fail status at all wavelengths, as well as span loss, ORL, fiber length and macro bend locations in a single window. 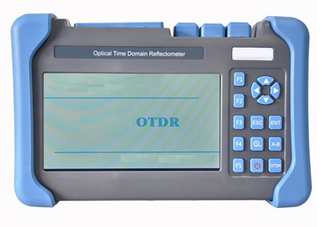 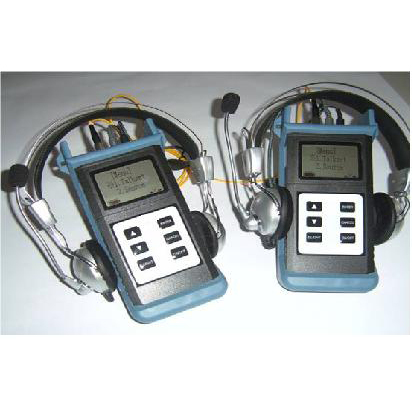 This handheld fiber optic OTDR (optical time domain reflectometer) is an innovative test instrument for telecommunication networks. 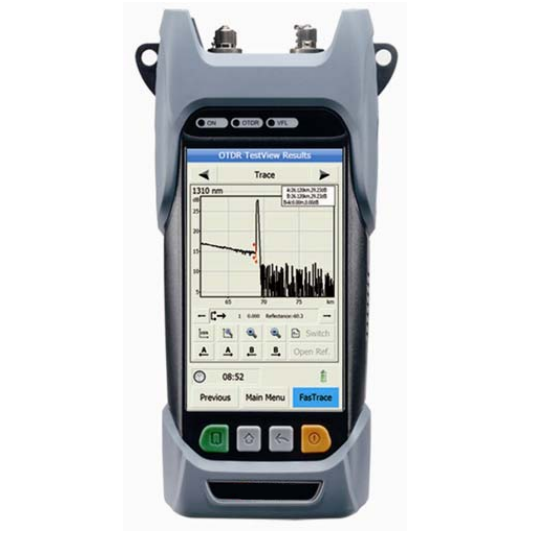 This Advanced and Expandable OTDR is used in testing a wide range of networks from PON to long haul networks and comes with a minimum dead zone of less than 2.6 ft (0.8 m). 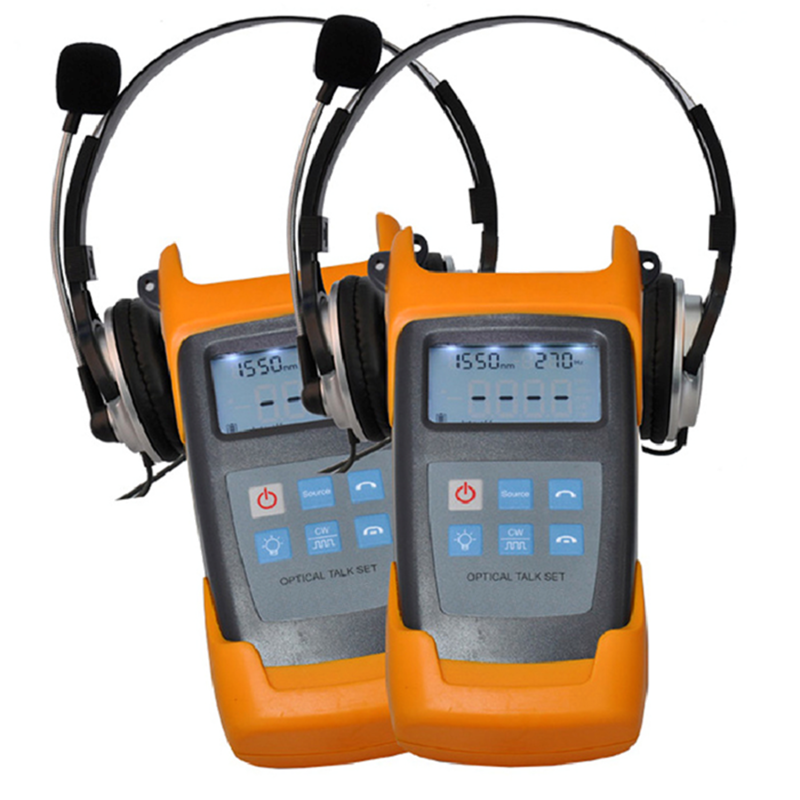 This multifunctional optical talk set enables high quality digital communications with a dynamic range of 40 dB and a transmission distance of up to 49.7 mi (80 Km). 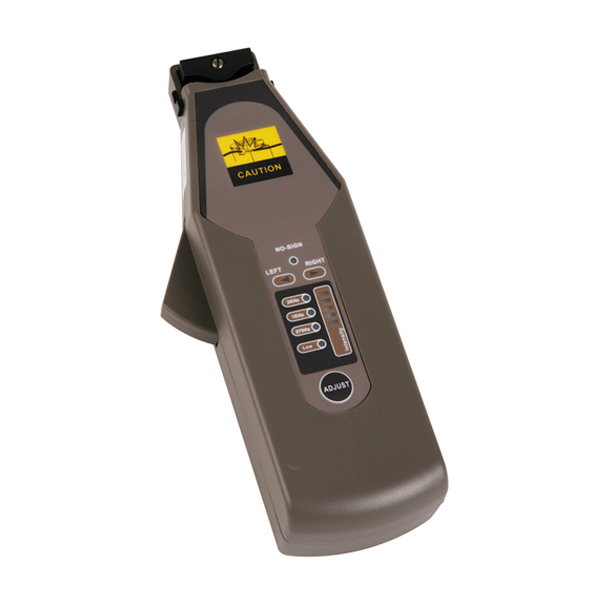 This portable optical identifier is an easy to use device which quickly identifies the direction of transmitted fiber without disrupting the current service. 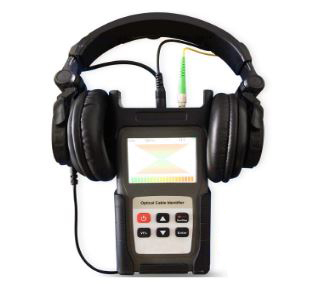 This compact fiber optic identifier is an easy to use test device used to detect signals on optical fibers for a wavelength ranging from 800 nm~1700 nm using the safe and reliable macro-bending technology.